Wavy may be arranged as desired: superimposed vertically with module H. 36 cm. or horizontally, composed by elements of different sizes which may be combined: 63 / 124 / 185 cm. 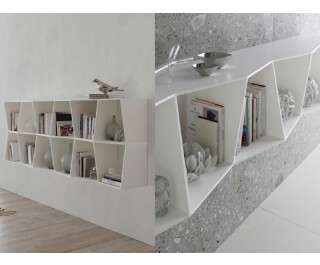 This page: Wavy Up, hanging bookcase.